Riot Act’s Series of Shorts: Recap! Okay, okay, I get it… I keep making all these promises to keep up with the blog, and here I go again with all the excuses and the business and the blah blah, BUT! But I have been doing very important things like uh…writing and directing my own plays, guys! I also am the new Teen Program Coordinator at the Teton County Library so that’s pretty awesome too (and something that demands a whole lot of my attention and time). Who needs free time right? *sobs quietly* Right…? The Sisterhood of the Traveling Andrew Munz Plays. “Three Step Rug” is a black comedy spy caper about a female agent named Moira Arrenholtz who is sent on her first assassination mission. However, when she’s face to with her target, things start to get out of hand. “Tröllaskagi” was something completely different. I’d never written a play with choreography involved so it was a very new experience. However, both plays turned out to be incredibly awesome, and I’m so thrilled with the outcome of both! Watch the full performance of “Three Step Rug” (directed by Cynthia Huyffer) CLICK HERE! Watch the full performance of “Tröllaskagi” (written/directed by ME) CLICK HERE! 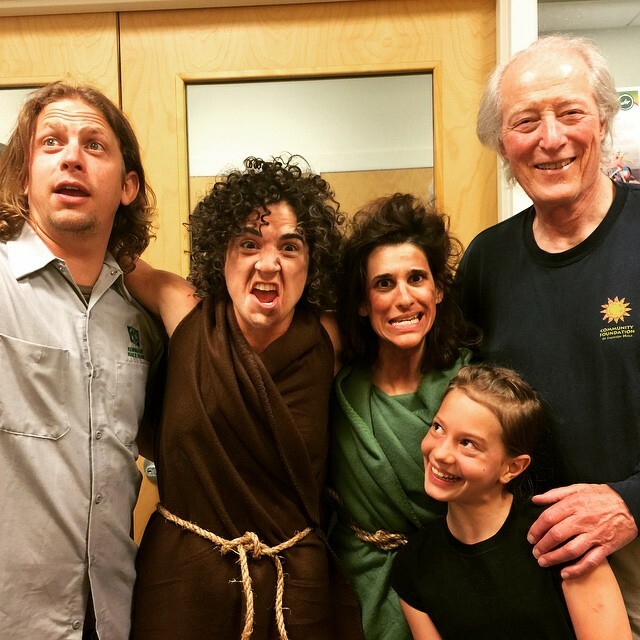 The cast of Tröllaskagi gets ready for opening night! A lot of people ask where the inspiration from “Tröllaskagi” came from (other than just Iceland, of course) because it really does stand out as an anomaly in my body of work. It’s dramatic, it’s fantastical and doesn’t have as much humor as people expect me to present. The idea of a fisherman washing up on shore was always present in my mind when I was whale watching. I had this recurring dream that our ship would sink and I’d wash up on some strange island other than Iceland. Helgi’s journey in the play has a lot of layers to it, and I hope that all comes across through the scenes and especially through the dances. I wouldn’t have been able to make this play happen without getting permission to use Eivør Pálsdóttir’s song “Trøllabundin.” It sets the whole mood of the play and I didn’t want to use any other song in its place. You’ll certainly hear the song in the theatrical recording, but here’s the first version of the song that I heard. Hearing the ocean waves with it certainly inspired the ocean recording in the show. You would think that I have time to breathe now that these plays are over, but I literally just started rehearsal for “A Midsummer Night’s Dream” with Off Square Theatre Company. 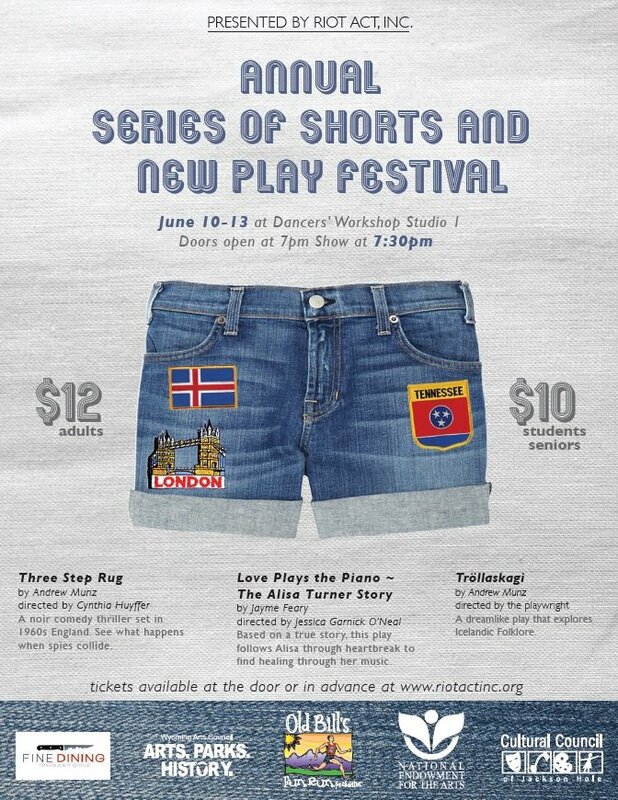 I’m playing Demetrius, and am STOKED!